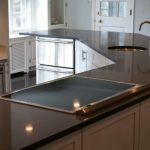 This Modern Kitchen remodel consisted of a complete removal of the old kitchen, replaced by a newly designed island for entertaining friends and family. The walk-in pantry was remodeled to accommodate the larger island, which comfortably seats six guests, and allows for the added prep sink. We also installed a dry bar area, complete with a stainless steel wine refrigerator. We used KraftMaid cabinetry with square recessed doors, complete with brushed nickel hardware and Seagull Ambience under-cabinet lighting. 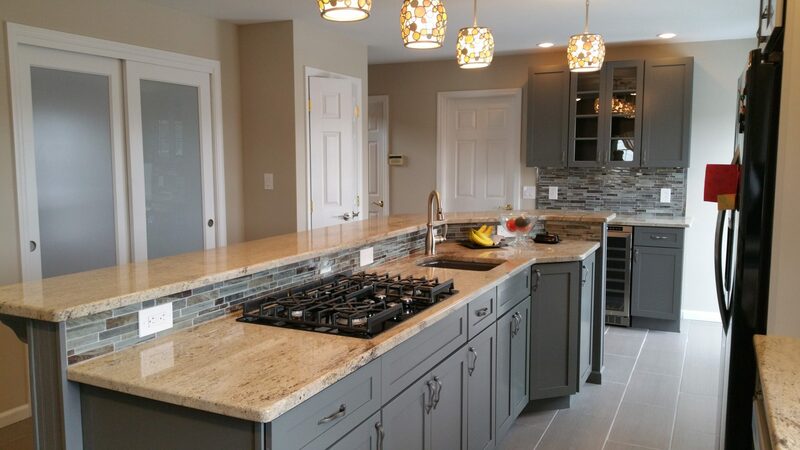 Cabinet colors consisted of Pebble Grey for the outside walls and floor cabinets, and Grey Loft for the island and dry bar. Kholer cast iron sinks in dark grey were used to compliment the cabinetry. Other features include a glass tile backsplash and 12” x 24” floor tile. 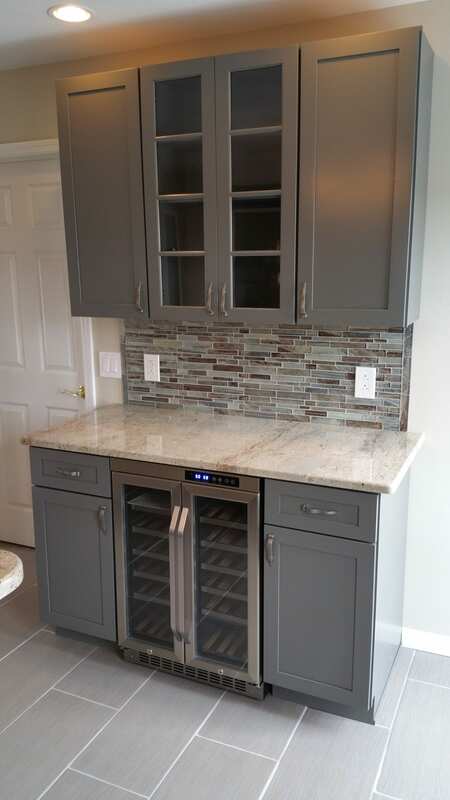 Contrasting grey coloring on the walls compliments the cabinetry. 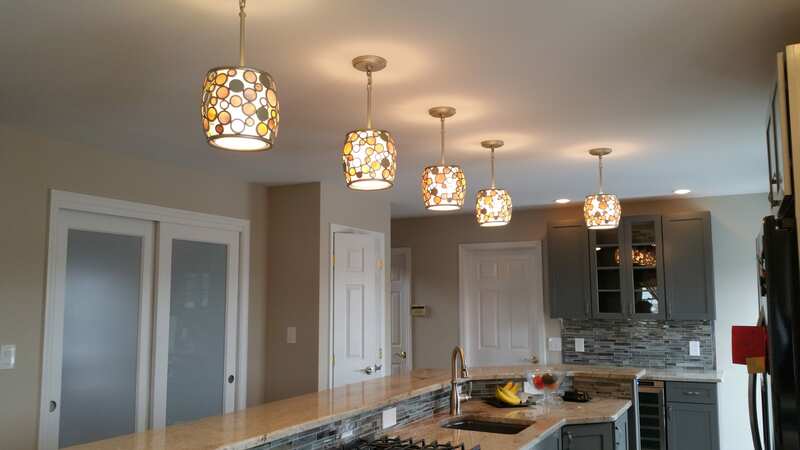 All lighting in the kitchen is dimmable, making any lighting arrangement possible. The frosted glass doors to the pantry include back lighting, emphasizing the kitchen lighting scheme. 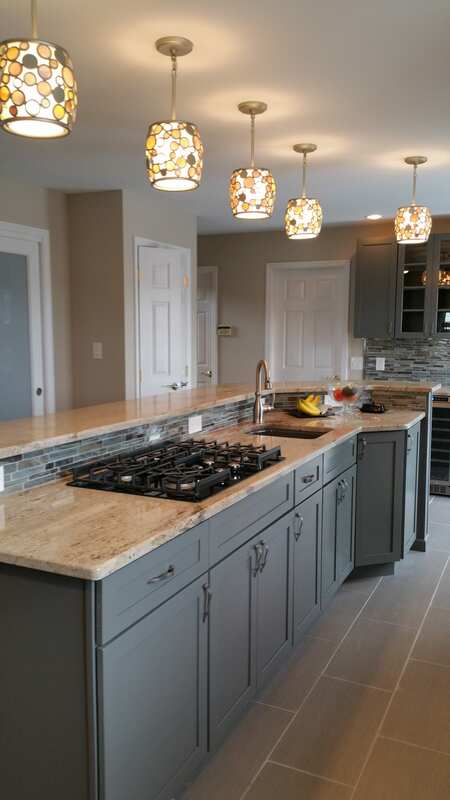 An in-cabinet oven/microwave/convection oven was added, along with the glass cook top in the island. 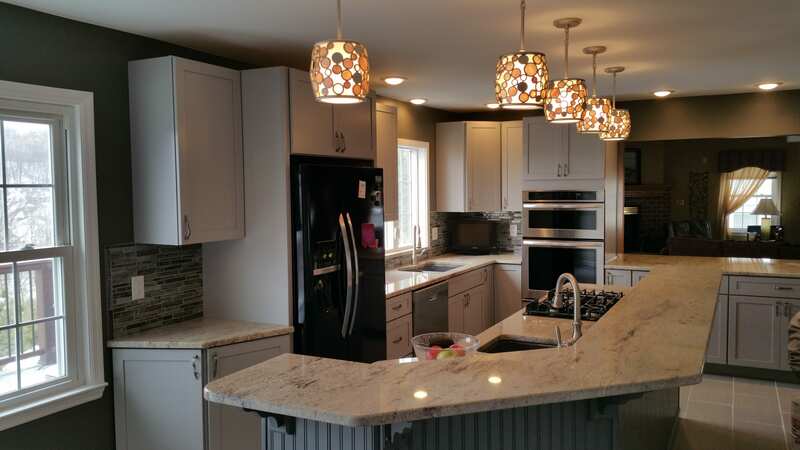 Granite counter tops with under mount sinks and Delta brushed nickel fixtures finish off this kitchen.